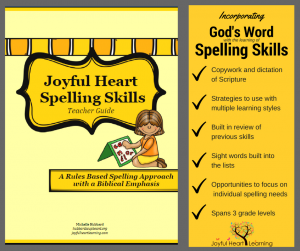 Searching for a spelling curriculum with a Biblical emphasis? Welcome to Joyful Heart Spelling Skills! 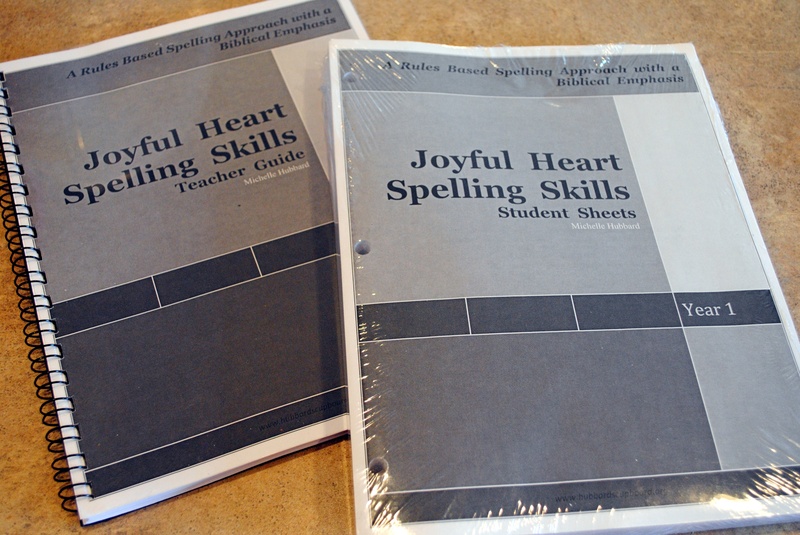 With a focus on 73 spelling skills, the Joyful Heart Spelling Skills curriculum spans three years (ideally for grades 1st – 3rd or 2nd-4th). 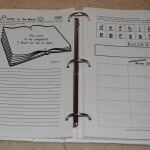 It incorporates copywork and dictation of Scripture, multiple learning styles, and built in review of previous skills. 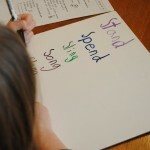 Sight words are included within the lists. 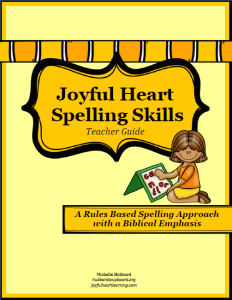 Also, Joyful Heart Spelling Skills not only accommodates for individualization, but encourages it. 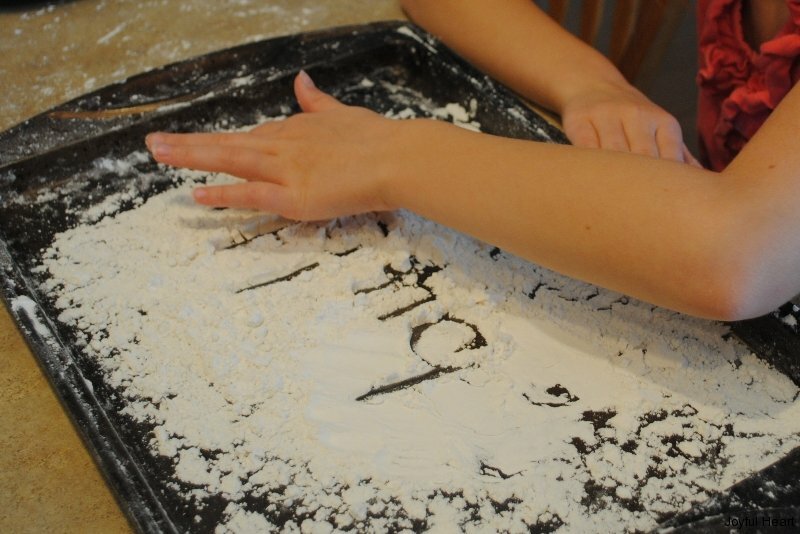 It takes approximately 15-20 minutes a day, with many of the activities being completed either independently or with multiple children together. 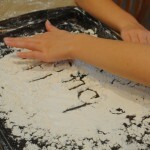 –ready for download for just $20.00. 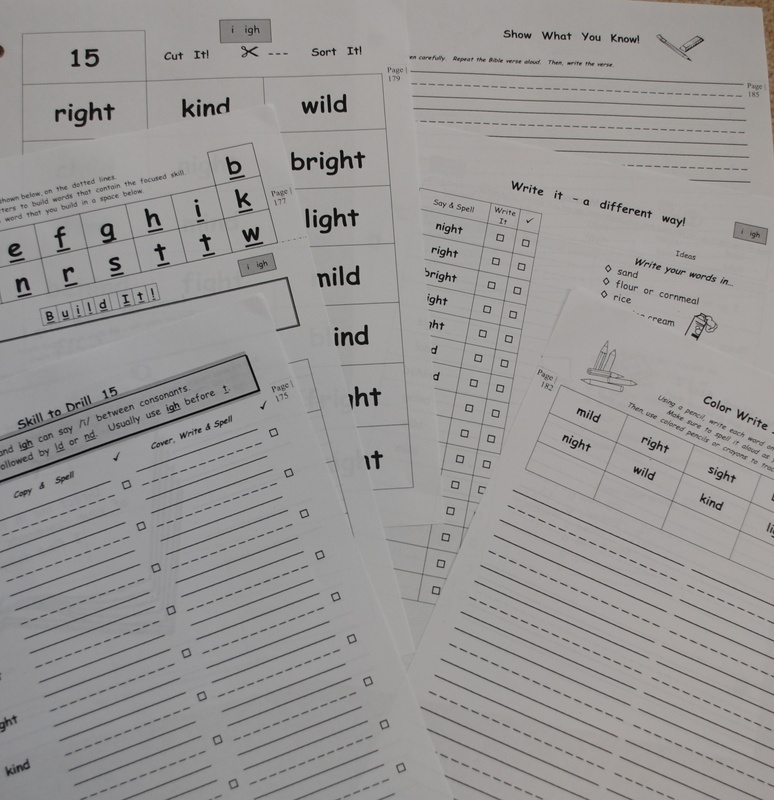 Teacher Guide – a 160+ page guide containing information on how to use the Student Sheets, optional spelling practice ideas, and a Spelling Skill Teacher sheet for each skill. 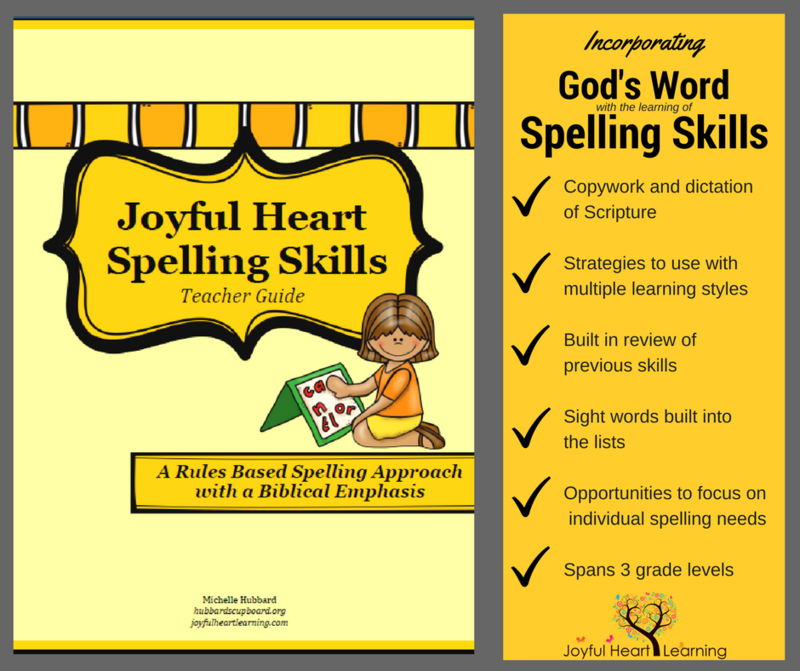 The Teacher Guide also contains a list of all sight words used as well as a list of Scripture verses utilized in the curriculum. 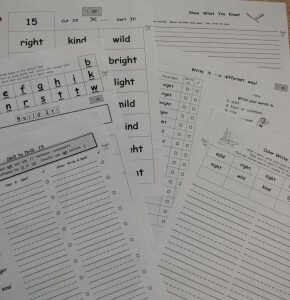 Student Sheets – 880+ sheets to be used over three school years. These were created to be easily printed double sided. 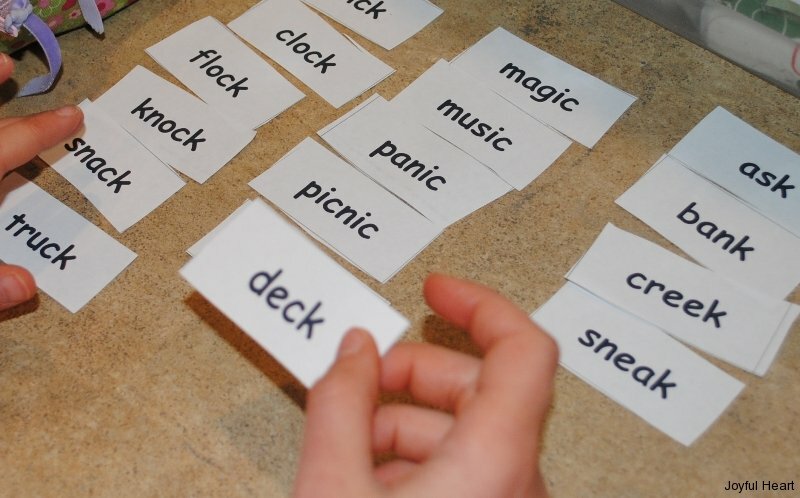 Each skill has sheets for Skill to Drill, words in the Word, Build-It!, Learn the Word dictation practice, Cut It- Sort It, Color Write It!, What’s Missing?, Write It a Different Way, and Show What You Know. 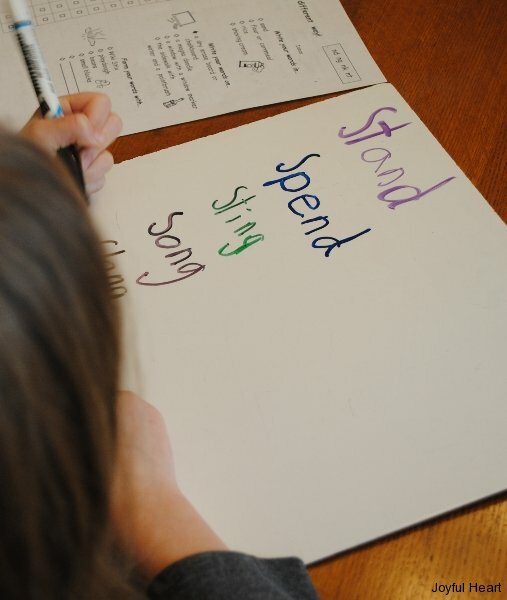 You may choose to print as many or as few of the sheets as your child needs for each skill! 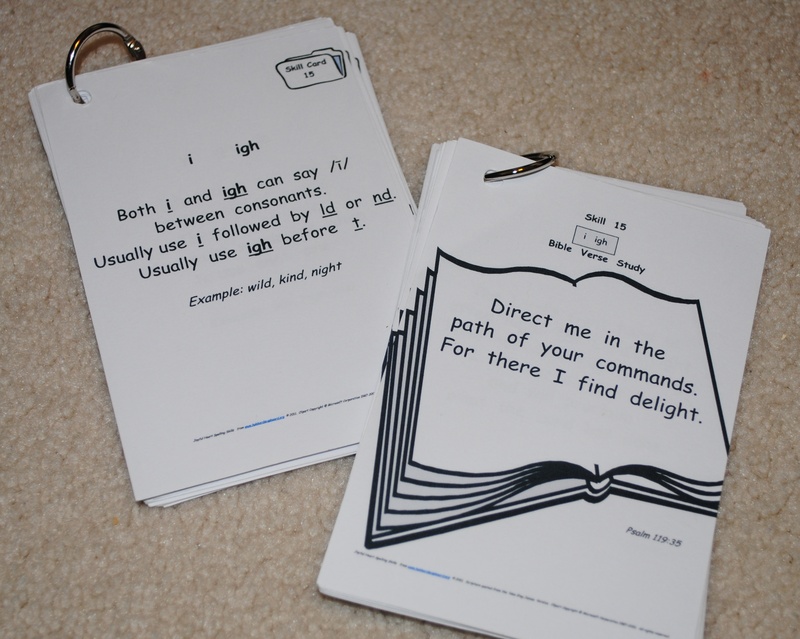 Printables – 220+ pages containing two sizes of the Skill Cards – full size and index card sized, Bible Verse Study Cards, Letter Tiles, Student Progress Sheets, Extra Practice Sheets, and Take Home Study Sheets! 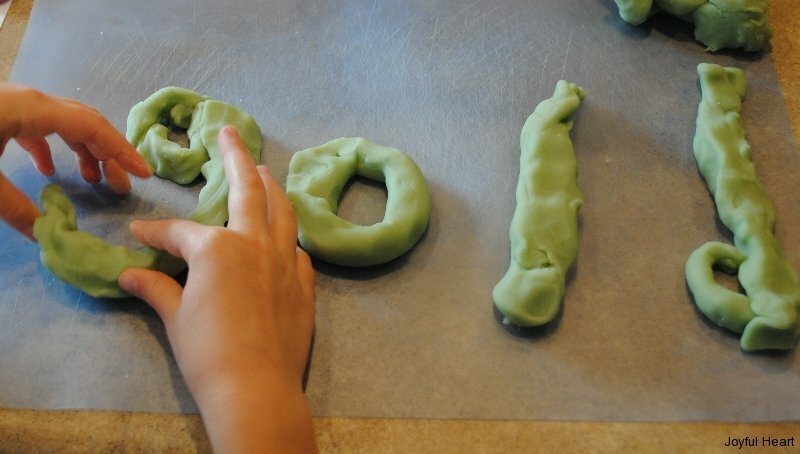 Q: What age/grade is Joyful Heart Spelling Skills designed for? 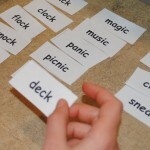 A: Please see my post on Spelling – When to Start for a full explanation. 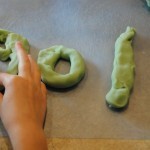 Q: What version of Bible verses are used in the curriculum? A: All verses are taken from the New International Version, 1984. The only exception is found in skill 3, in which the verse is from the New King James Version. 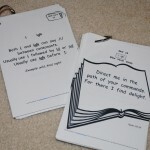 Q: Do you offer a printed book form? A: No. 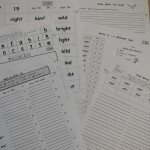 However, we have tried to use bestvaluecopy.com to print the teacher guide and student sheets. At the time, there was a special offer to receive 200 free B/W copies using a code. You may wish to check their website to see if this offer is still available. I would recommend having the Student Sheets printed double sided, 3-hole drilled, and shrink wrapped. 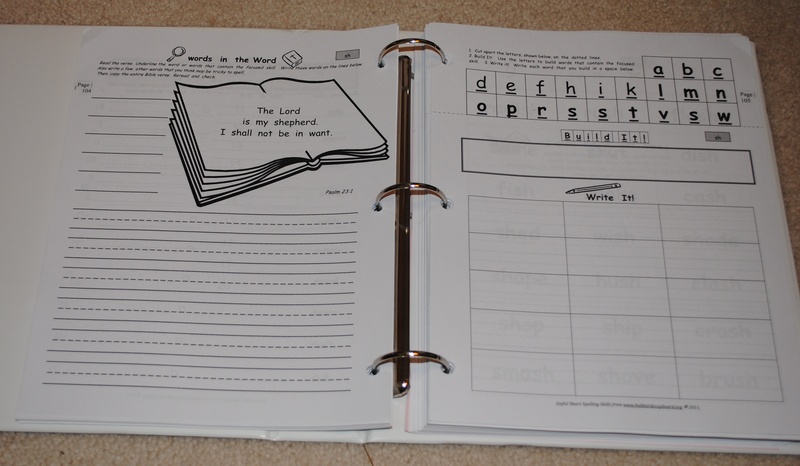 The Teacher Guide should also be printed double sided and I would suggest to use wire binding, a clear front cover, and a vinyl back cover.